Now in Marathi, Albert Einstein was named 'Person of the Century' and remains one of the most famous scientists in world history. But what was he really like, as a person? This fresh biography of Albert Einstein gives students and general readers a concise, accessible introduction to the life and science of this revolutionary man. Underneath his genius, he was an ordinary person, with human frailties and weaknesses, but also with charm, modesty, a wry sense of humor and idiosyncrasies. 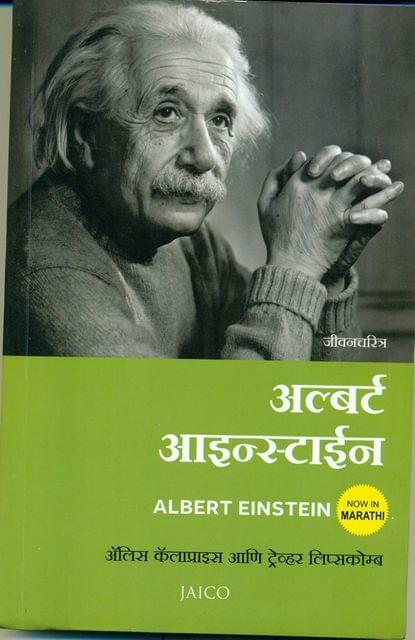 Albert Einstein: A Biography lucidly captures this brilliant physicist's life and career, including: His early education and his struggle to find an academic position, including working as a clerk at the Swiss patent office at the time that he was formulating his revolutionary theories, his rise to international fame and his use of that fame to fight for world peace, his major contributions to physics, explained in a simple manner also included are a bibliography of secondary works for further reading and a timeline of important dates in the life of Einstein.